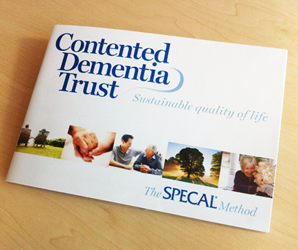 The SPECAL Photograph Album understanding of dementia leads to a counter-intuitive but essential set of principles that we call SPECAL sense. SPECAL sense is needed by everyone communicating in any way with the person with dementia. SPECAL sense has meant that I have been able to bring joy and sustainable contentment into his life when no one else could. That’s something I’ll never forget. 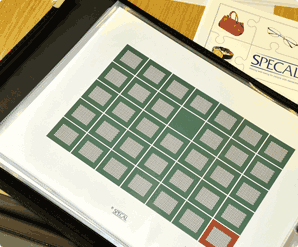 SPECAL sense immediately reduces stress for the person with dementia and everyone around them. These Three Golden Rules run contrary to commonsense communication styles which are taken for granted when dementia is not an issue. The Three Golden Rules are counter-intuitive and those of us without dementia need to develop this entirely new set of communication skills. Just stopping asking questions has completely altered our life. I cannot believe the change. Her distress has evaporated. We have got her back again. 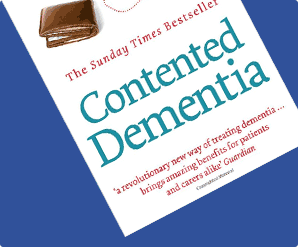 Avoid asking any direct question that requires the person with dementia to search for factual information that may not be stored in their album. They are already aware of their disability. Asking them to search for facts they may not have will merely increase this awareness, causing them unnecessary distress and potential trauma. It is surprising how much information you can gather without asking direct questions! My mother kept asking where the dog was. I tried over and over again to explain that the dog had died. Then I went on a SPECAL course and decided to try saying that the dog was fast asleep. She sighed with relief. It was just a different answer, that’s all, but it made such a difference. Listen to the questions the person with dementia is asking, and consider very carefully what the best answer might be from their perspective rather than your own. For people with dementia, feelings are more important than facts. It is crucial that the information they receive generates good feelings for them. Having a record of good feelings, yet not knowing why, is one thing. Having a record of negative, possibly traumatic feelings with no explanation as to why, is quite another. We owe it to the person with dementia to avoid leaving them with anxieties that they cannot, only moments later, explain. So we must search for the information and the language that is most acceptable to them. Once we have found the best answer to their most frequent question, this form of words should be used consistently by everyone coming into contact with the person. This may not be commonsense, but it is certainly SPECAL sense, and it increases confidence all round. Carers using the SPECAL method find that the person’s anxious questioning gradually subsides. Nowadays I try and say something like ‘I expect you’re right’, and straight away the problem that was brewing just seems to vanish. Do not argue with the person with dementia about which page or which photograph they are choosing to use in their album. They are increasingly likely to use intact memories from their pre-dementia past, in order to understand what is happening around them in the present. The rest of us need to avoid disturbing the sense they are making, and start where they are at. We need to take careful note of the language they use, so that we can follow them, rather than expecting them to follow us. Mum is happy, we’re happy, the carers are all happy, what more can you ask? The Three Golden Rules may seem counter-intuitive at first, but when they are used by everyone coming into contact with the person with dementia, the benefits quickly become self-evident and life will be much easier. Once SPECAL sense is used, many aspects of caring for the person with dementia will begin to fall into place. As you develop your understanding of dementia by using SPECAL sense, your confidence as a carer will grow and you can start building up a personalised SPECAL Care Profile.